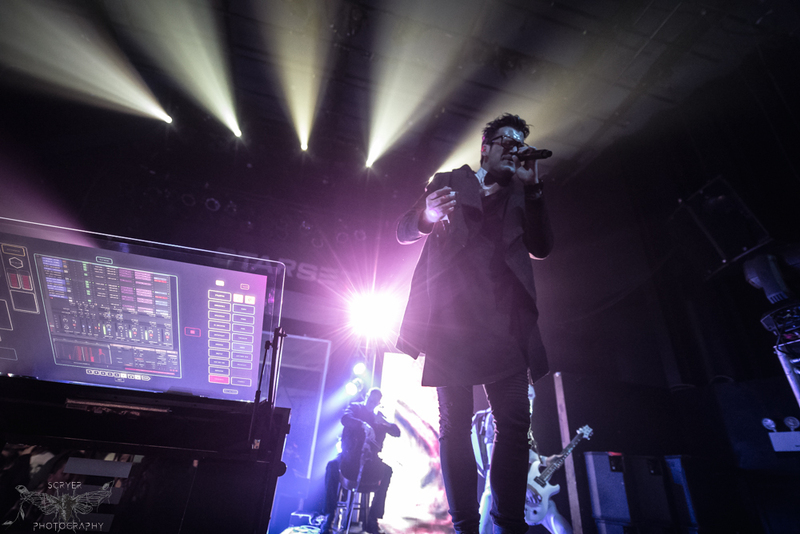 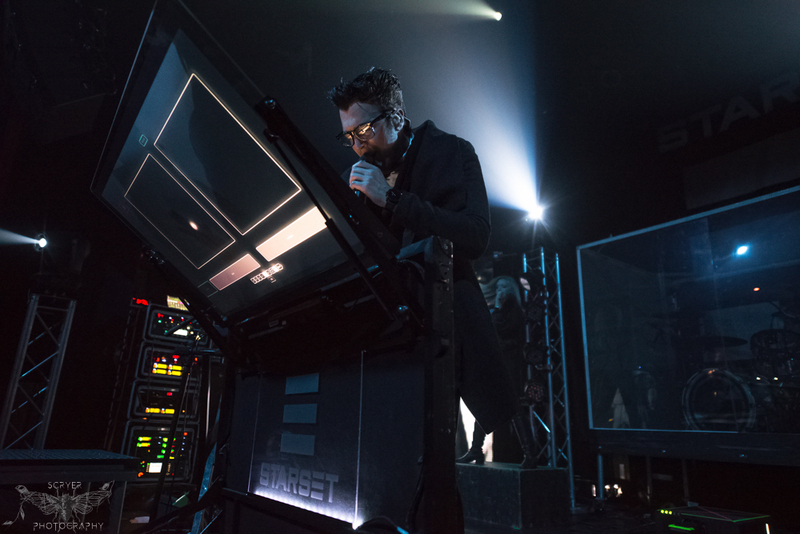 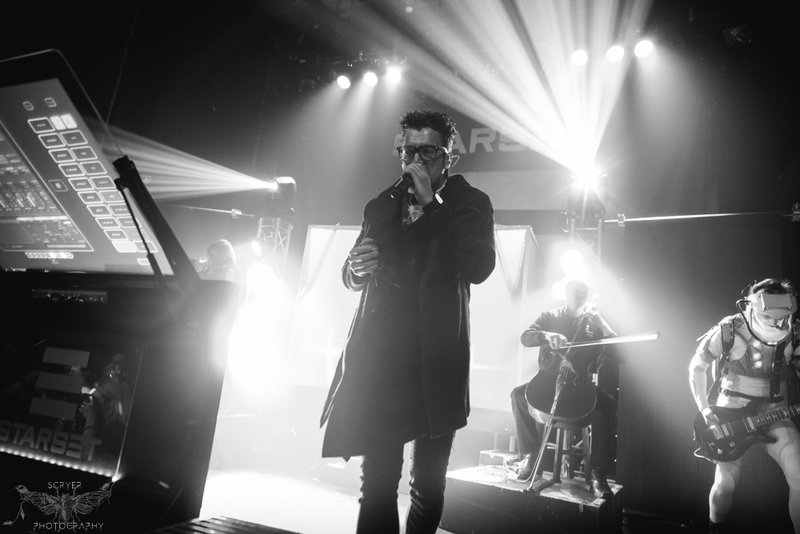 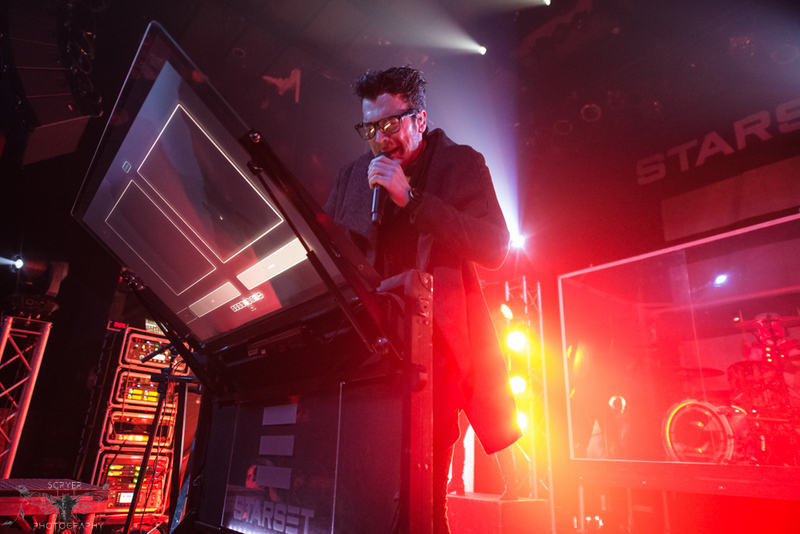 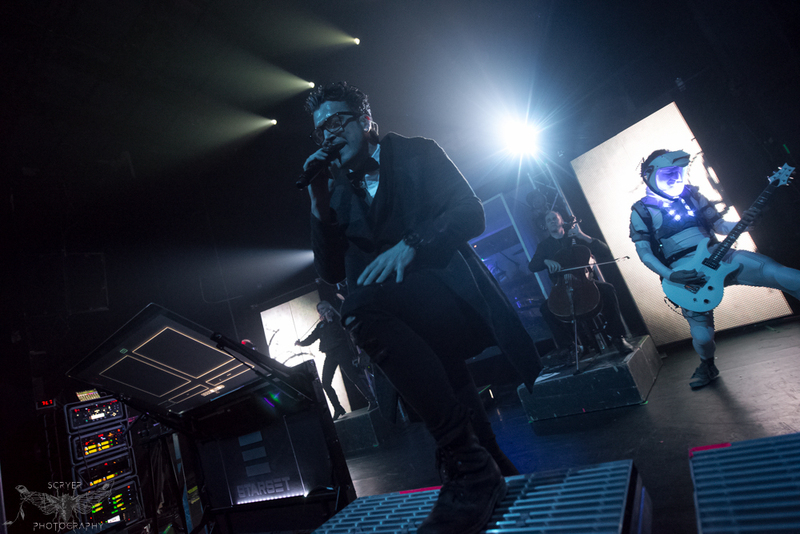 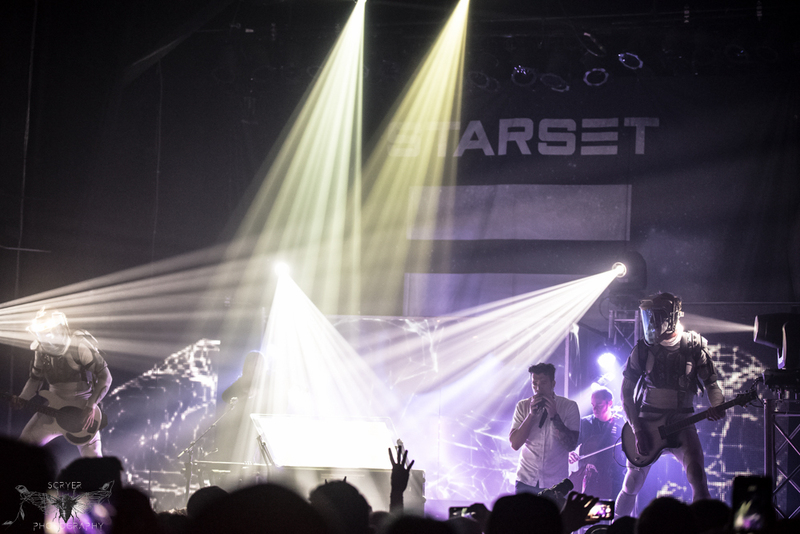 Starset returned to New York City for the first "demonstration" of their tour at The Gramercy Theatre on April 24, 2017. 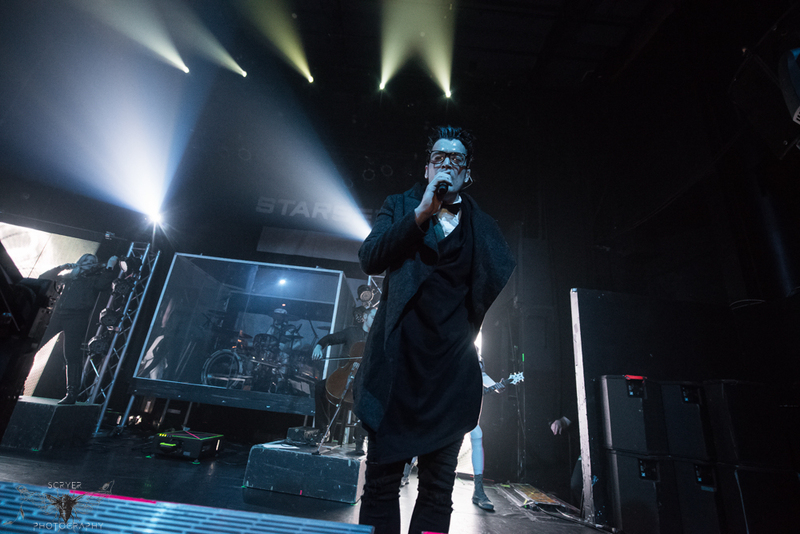 Black Satellite from Brooklyn, NY opened the show. 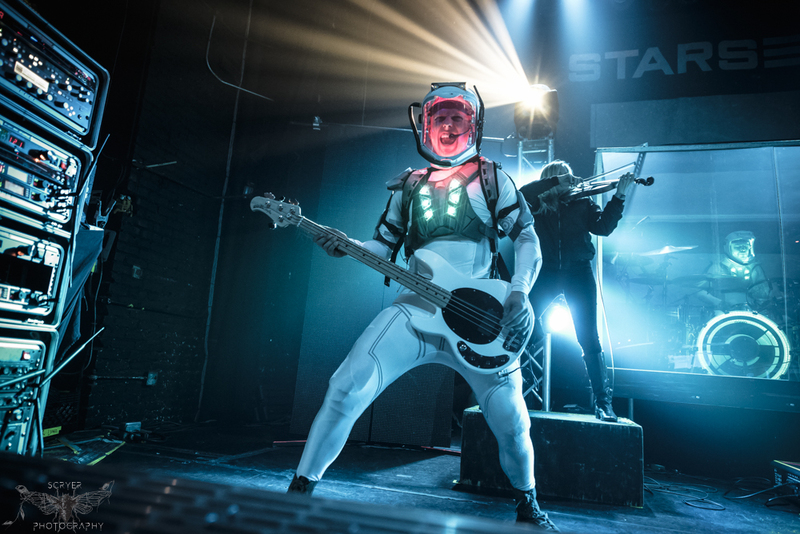 We're excited to see Starset back on tour in support of their new album Vessels which was released earlier this year on January 20, 2017 via Razor & Tie Records, the follow up to their first album Transmissions. 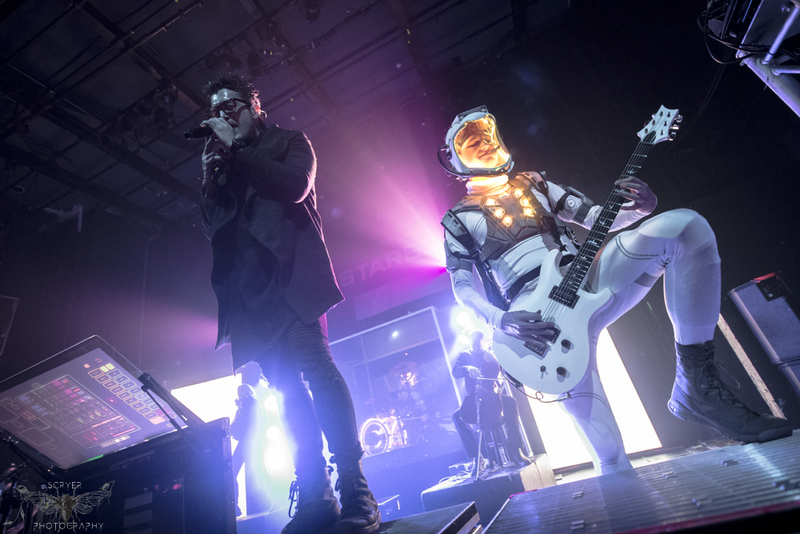 Starset have a new look, intense new music, and ready to continue their mission to deliver awareness to The Message at every "demonstration" the term the band uses when talking about a tour date. 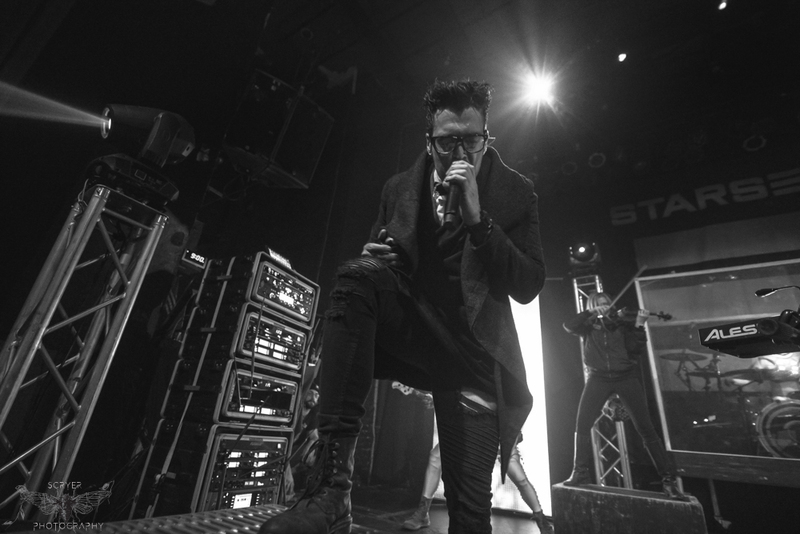 Scryer Photo covered Starset's concert in Fall 2016 at Highline Ballroom and we have gravitated once more to them on their return as bigger fans than before. 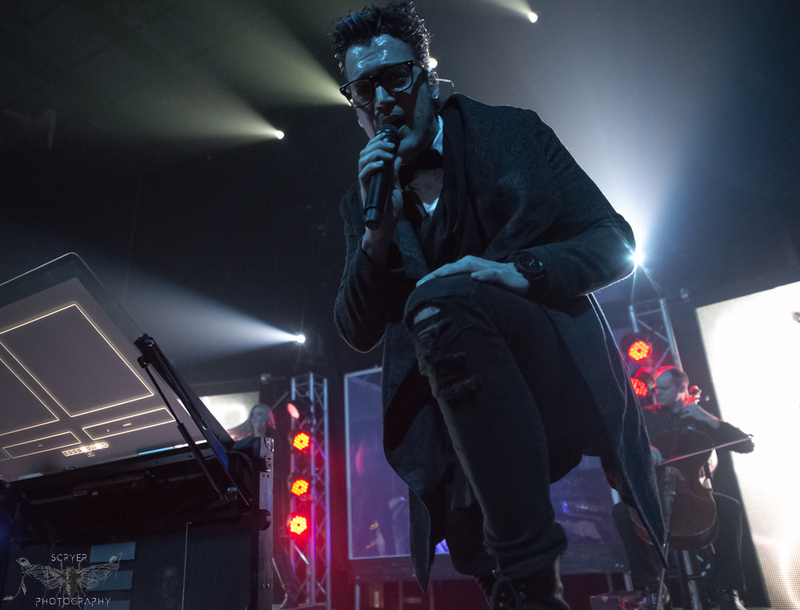 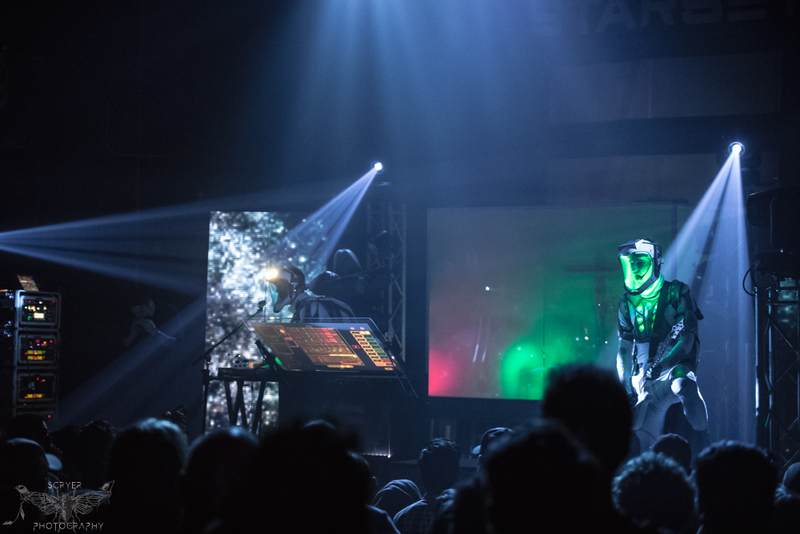 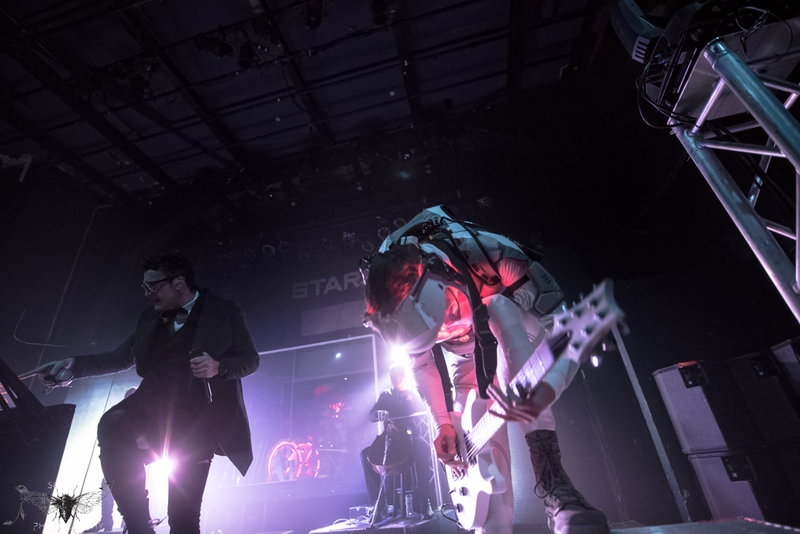 Starset's fan base grows rapidly as they continue their hard work as innovative musicians, bringing different elements of music together to create the Starset sound labeled as Cinematic Rock. 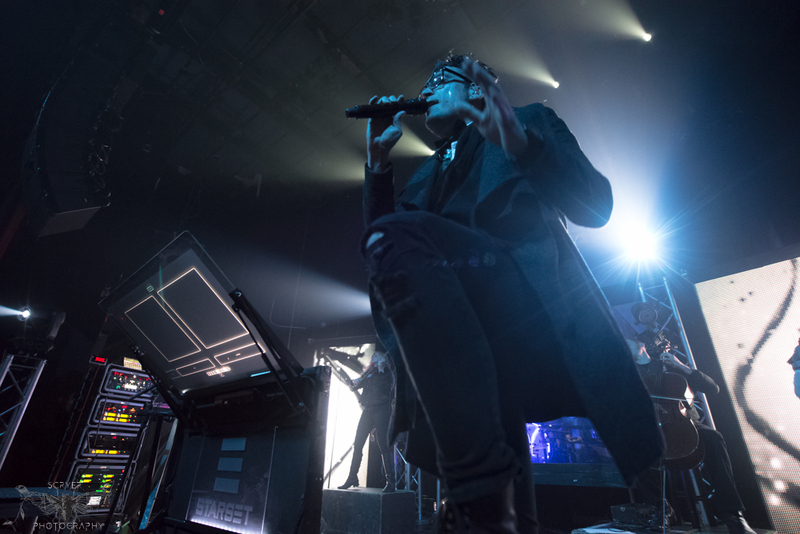 There is a great deal of passion in their lyrics and music. 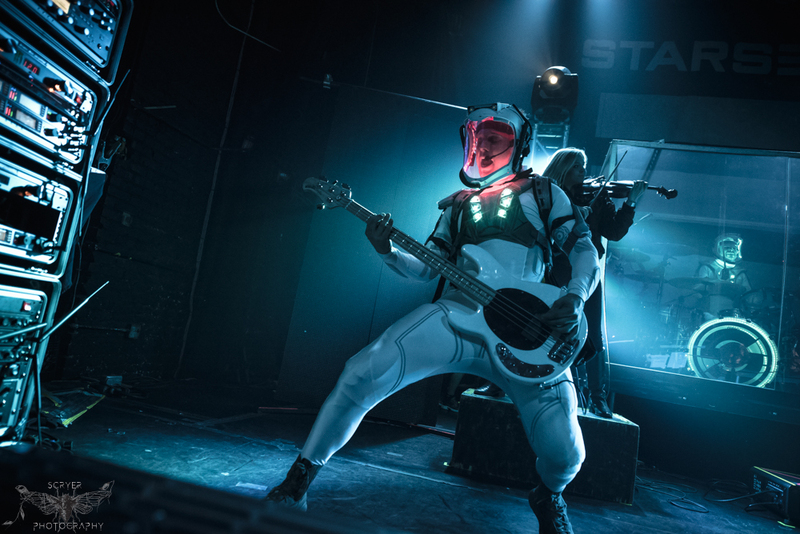 Vessels maintains Starset's theatrical sound, yet introduces some brooding and heavier tracks such as "Frequency", "Ricochet", "Gravity of You", "Bringing it Down", and "Into the Unknown". 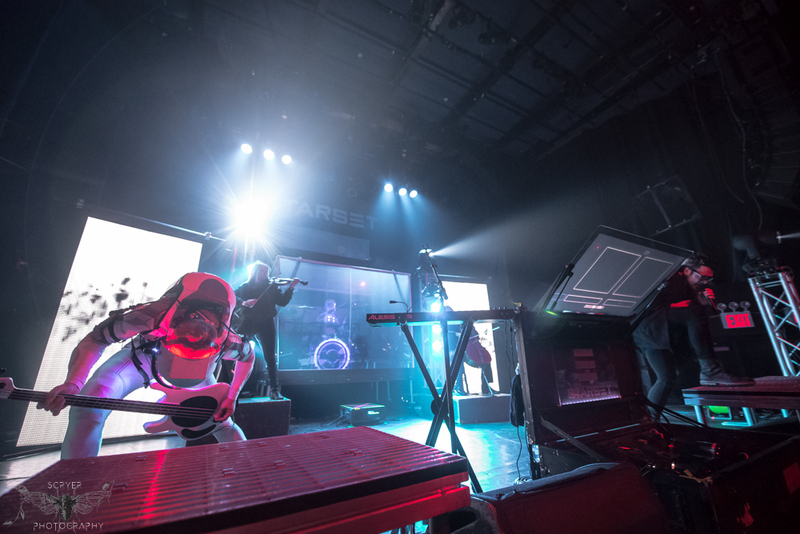 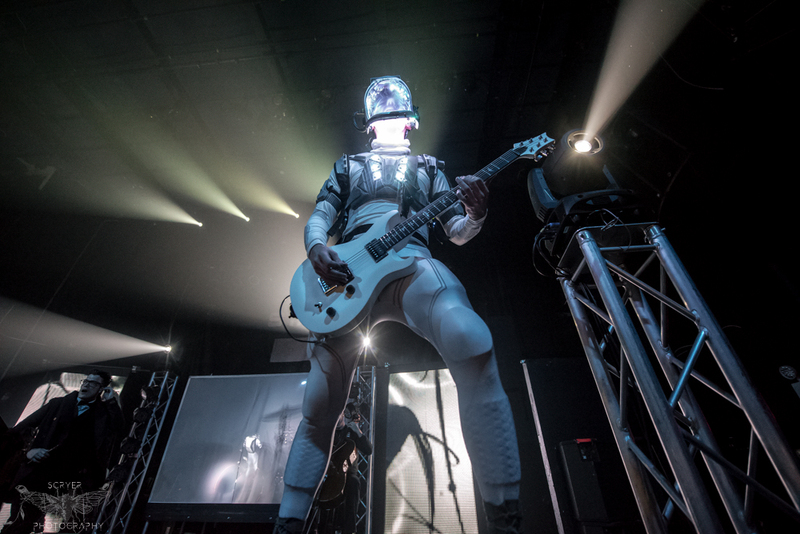 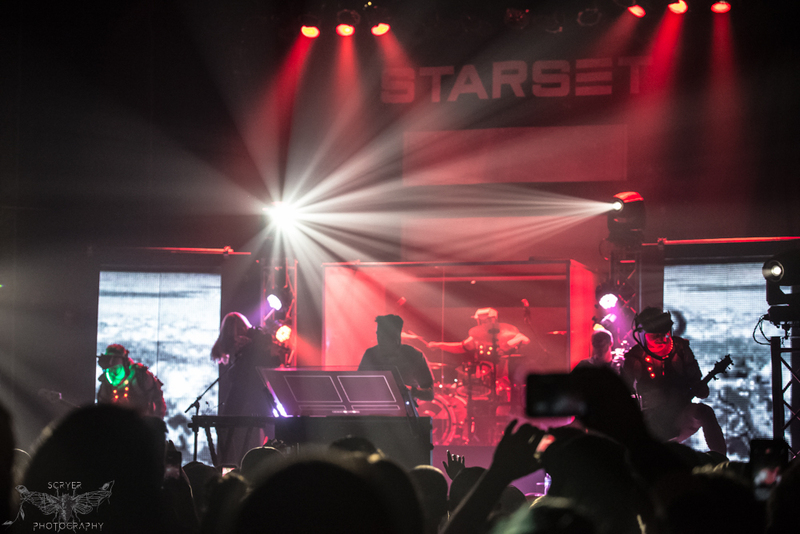 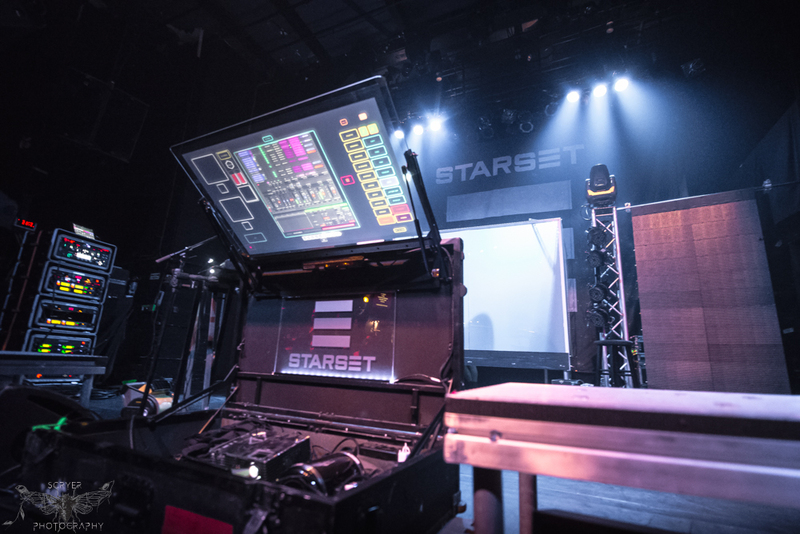 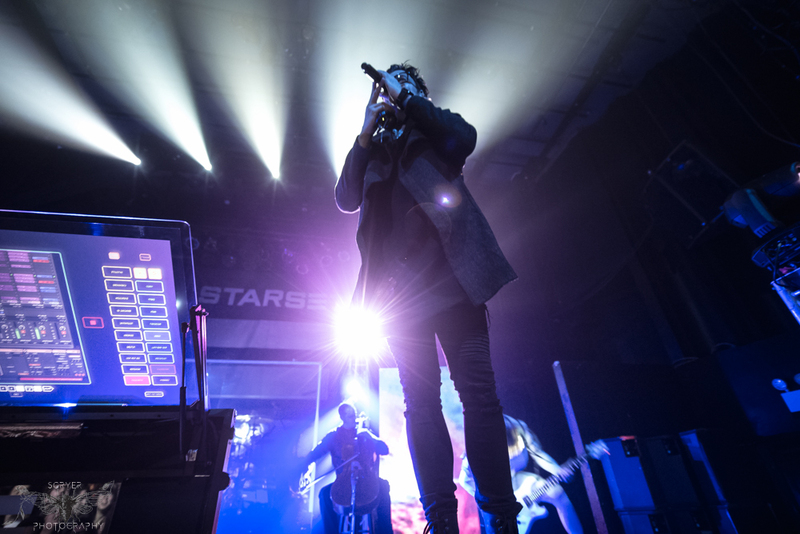 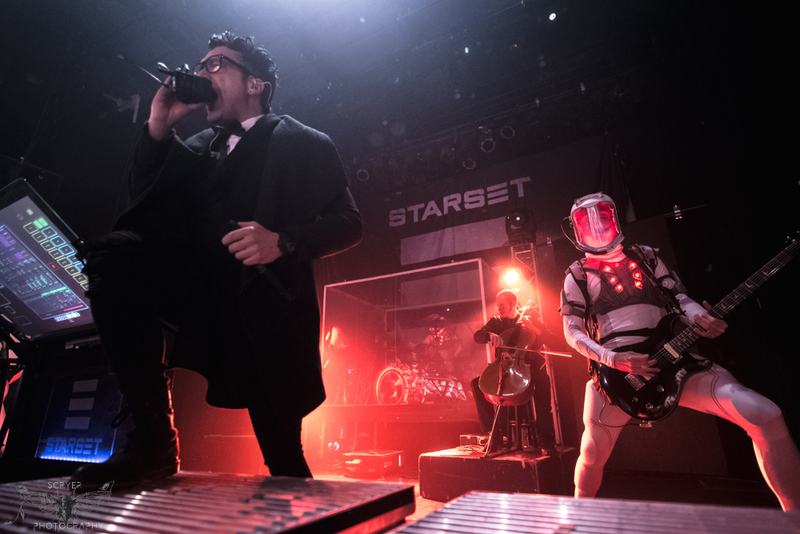 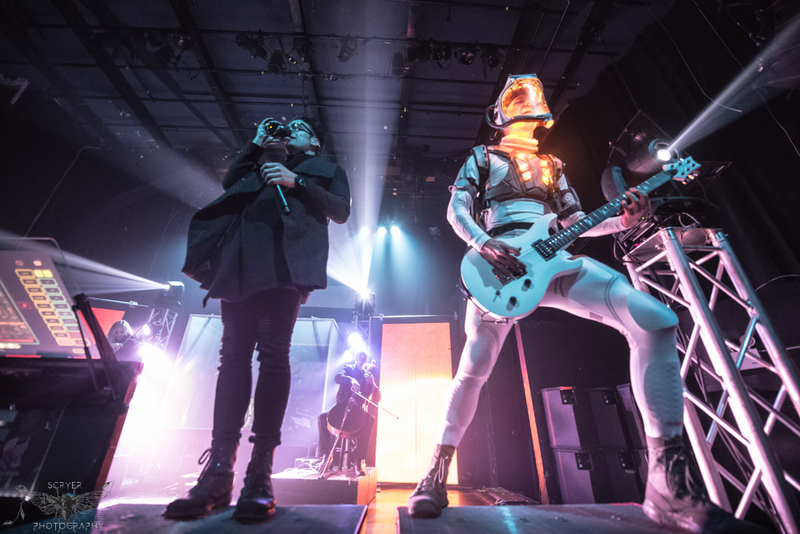 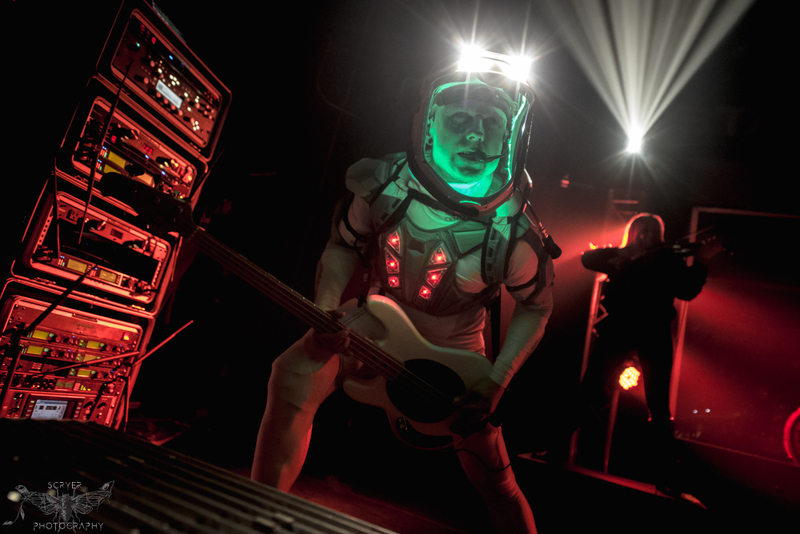 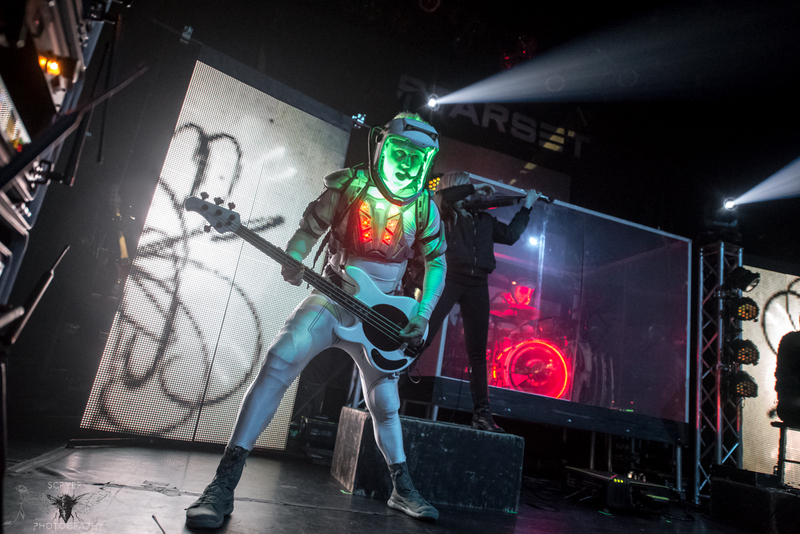 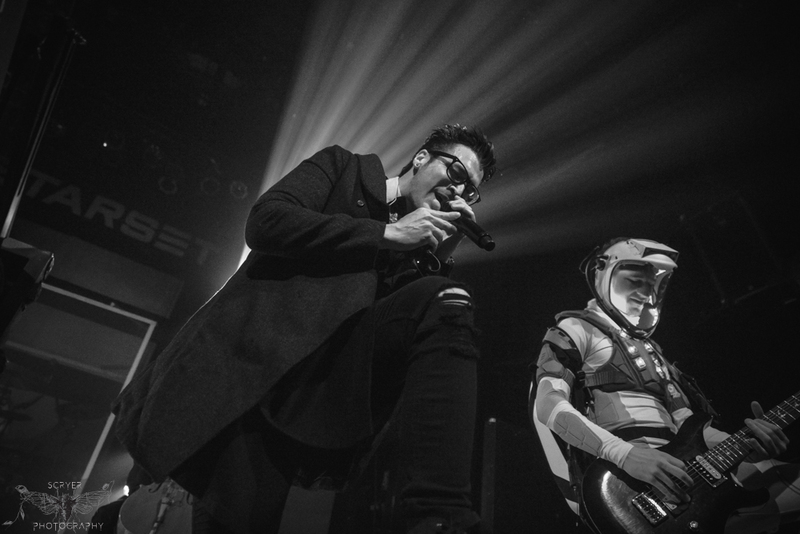 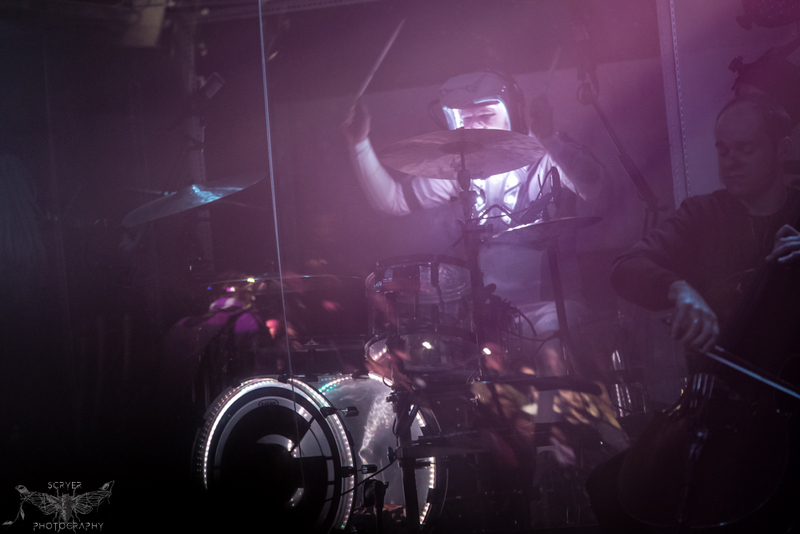 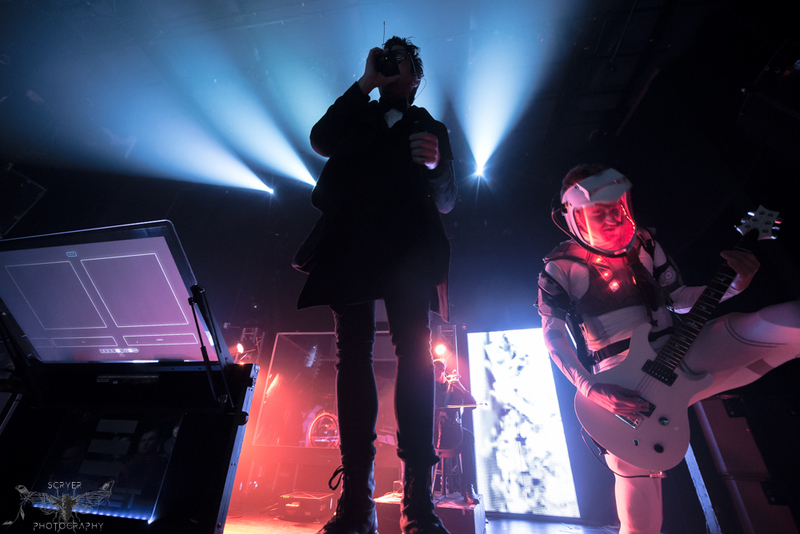 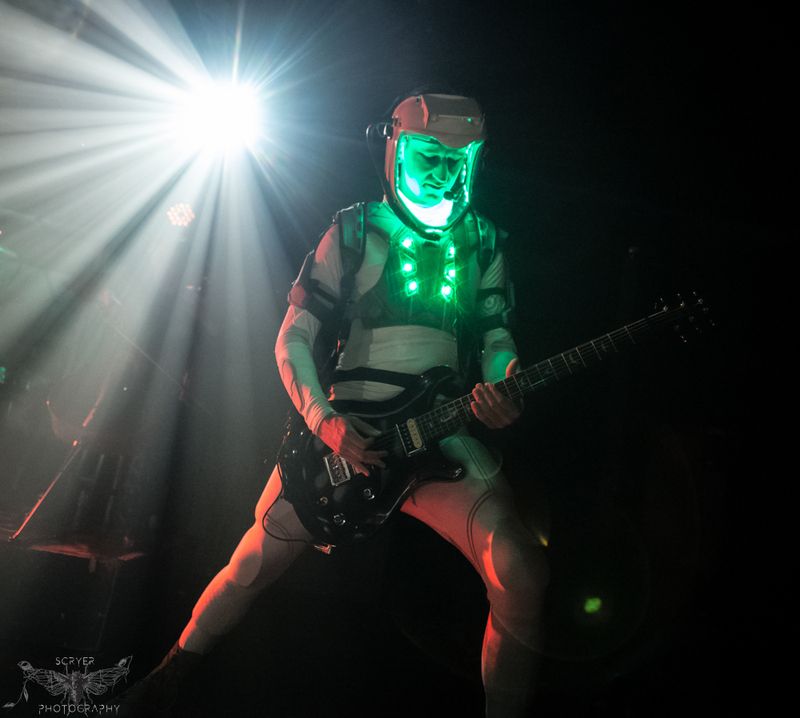 Check out photos from their show at Gramercy Theatre and setlist below along with the rest of Starset's Demonstration dates. 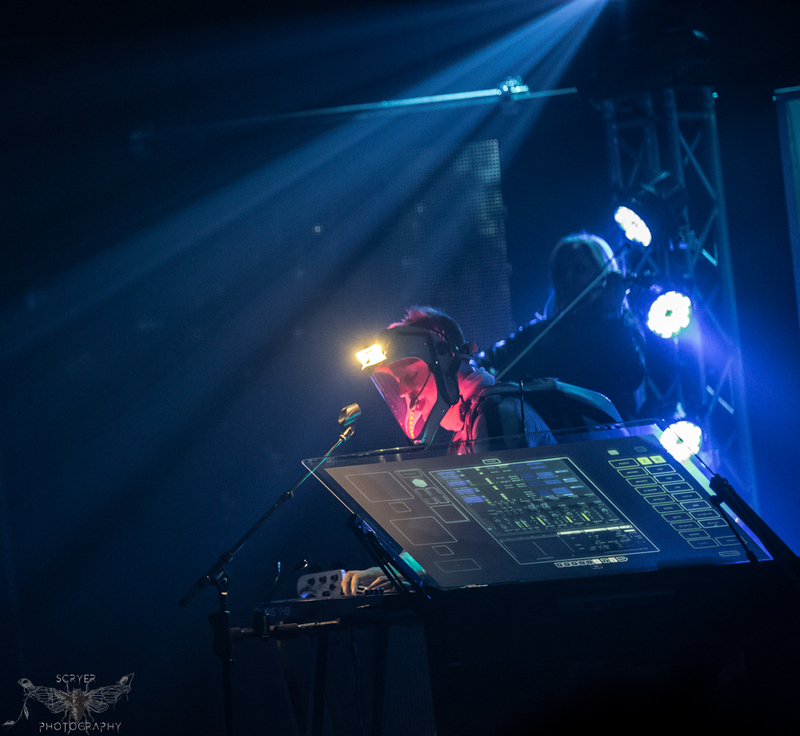 Vessels can be purchased here!